2001-2013 – spent majority of time rowing in London and Australia at top of club level. What have been your sporting highlights this year? I returned to rowing a year ago after deciding to retire, but thought better of it after a twelve-month break! Since training with The MPH Method, I’ve got back to competitive rowing. My highlights this year have been coming 2nd in The Women’s Eights Head Race in my category, UK National Championships (3 Gold medals), Henley Masters, World Championships in Belgium (1 medal) and the Head of the Charles in Boston, USA. How has The Method progressed you as an athlete? We’ve worked on increasing my range of motion, which has made me far stronger, rather than simply working on generic strength training. I’m physically much stronger as a result of this approach and it’s equipped me for elite events so much more thoroughly. How does this approach benefit you as a competing rower? I find Matt’s training style really positive and encouraging. My mobility has been hugely improved, with my weak positions highlighted and worked on extensively to build strength. We’ve focussed on perfecting the smallest movements, which have made a huge difference to my overall fitness. I’ve realised it’s all about you move and use your range of motion that makes you stronger. In conjunction with doing a lot of weights work, we’ve worked on my core. Developing that has led to my posture improving incredibly. Working on your weaknesses and correcting the smallest movements has a key part to play in improving fitness and increasing confidence and really prepared me for stepping into those races. I returned to rowing at 38 years old, as I really missed it after a year of stopping training. I returned to the sport as a master, training with Rowing Club Mortlake Anglian and Alpha in 3 teams: Quadruple Skill, Double Skull and Coxless 4. Quite frankly I’ve never been in better shape – for which I credit The Method. 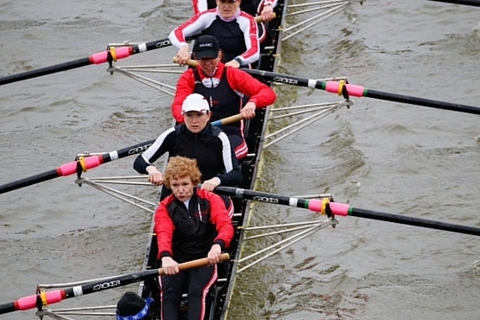 Henley Master Quadruple Skill – Beaten by a crew training for club level. We got second, finishing one second behind– stroke for stroke. Boston – we raced 8 International and ex-international Olympians. Finished 15/23. We overtook three crews in this regatta. I’ve been training more, engaging in more weights, and the changes that The MPH Method has made to my technique have been significant. Simply, I now row much faster and with more strength. In fact, I would say I’m almost as fast in the water now with half of the effort! The Method has helped me realise the fitness levels and strength that’s needed to perform well in the boat. I’ve managed to iron out niggles in my body and avoid getting injured because I’ve received expert guidance throughout the training process that has kept me incredibly healthy. Matt’s constant monitoring of my movement and tweaking the tiniest things in my posture and mobility that make an incredible difference to how the mechanics of my body work day to day. The freedom that’s been created by gaining strength and maximising my performance is huge; it prepared me for competing in the Women’s Hammersmith Head Race last week – where we achieved a win in the Masters category! It’s two sessions a week with Matt at The Method’s home in Wandsworth, exploring weights, stretching and mobility. I row 3 times weekly, complete one run and do a mat Pilates session.